Ms. Khambatta is the President of Global E-commerce for Filtration Group Corporation, the fastest growing filtration company in the world. 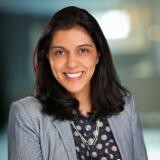 Prior to her role in eCommerce, Ms. Khambatta spent over 10 years in P&L leadership positions with Industrial companies including serving as the Division President of Indoor Air Quality at Filtration Group, the Vice President and General Manager of Indoor Lighting at Acuity Brands and several leadership roles with Danaher Corporation. She brings a unique background of P&L management to what is sometimes considered as a channel management and marketing function within Industrial businesses. It is her passion for growth, marketing and technology that has helped her transform many of the industrial businesses she has led to cutting edge digital growth engines. Ms. Khambatta started her career within the software industry working at Trilogy, Inc. both in Austin, TX and in London, England, as well as MarketSoft (now IBM CRM) where she helped clients understand the value of marketing automation and lead management software. Ms. Khambatta holds a Bachelor of Science in Industrial and Operations Engineering from the University of Michigan and a Masters of Business Administration from the Darden Graduate School of Business Administration at the University of Virginia. She currently resides in Atlanta, GA with her husband, six-year old son and three-year old daughter. Check out the incredible speaker line-up to see who will be joining Jasmine.